It is important that you keep up with the changes in technology, to stay ahead of your rival, especially if it is a business. That said, Crowdfunding as a business model continues to catch the world attention. Businesses, project initiators and startups are increasingly looking to crowdfunding websites to raise funds. However, in the recent past, the boom in the use of smartphones has made the fundraisers and multiple investors to go the app way. There are multiple reasons for you, as an entrepreneur, to launch a crowdfunding app to fund-providers and fund seekers looking to alternative sources of capital. One, the growing demand for crowdfunding equity and reward based apps. Two, the booming crowdfunding industry, expected to push aside the venture capital as the main route for raising money. Added to the above two is the gap that is existing between the demand and supply. While the demand for equity crowdfunding apps and pledge crowdfunding apps is bigger, the supply is not yet met by launching such modern crowdfunding apps. These apps are a sure way for you to be a successful entrepreneur. On the app, your users will enjoy a great user experience. Both the iPhone apps, be it crowdfunding equity or pledge app, come with awesome usability, navigation and designs. The navigation is such that, your app users will have a smooth ride when it comes to campaigning their startup idea and projects using videos, photo galleries, featured images, etc. Even the investors will enjoy a never before experience. You can just successfully kickstart your crowdfunding business for the iPhone users using these next-generation apps, which have also got a plethora of innovative features. Not one, Not two, but tens of features have become part of these two apps. These features would play a major role in making your app the most sought after and successful, both in terms of popularity and revenue. Also, as the app's administrator, you can get full details with regard to fund contribution, how many contributions have been done, contribution limits and expiry dates of project campaigns. 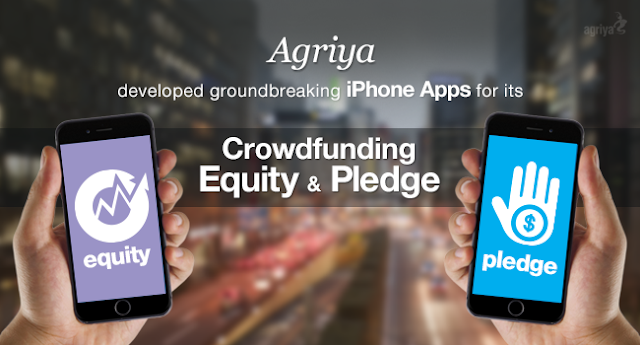 Your crowdfunding business success stories will be scripted with the help of crowdfunding equity app and crowdfunding pledge app of iPhone. These amazing apps will turn out to be your cash cows, thanks to the modern features and excellent user-interface in the apps.